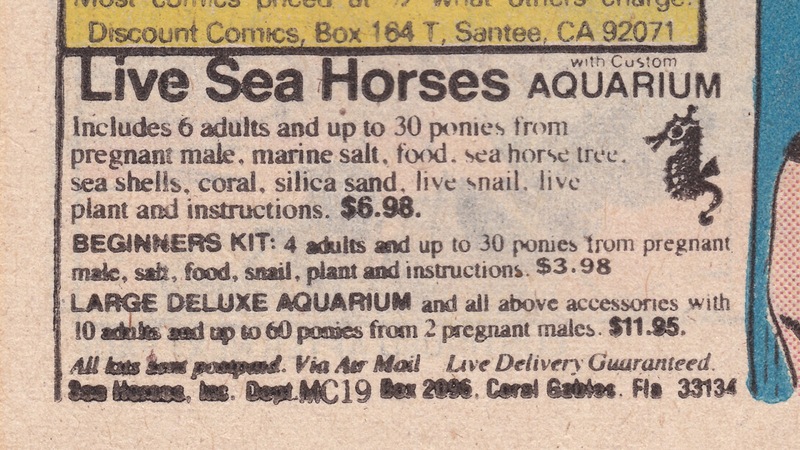 Frankie's Apartment: Comic Book Scam Ads: Live Sea Horses! THOUSANDS of baby ponies in their sack. It's gross! Double my Order! I mean Triple it!